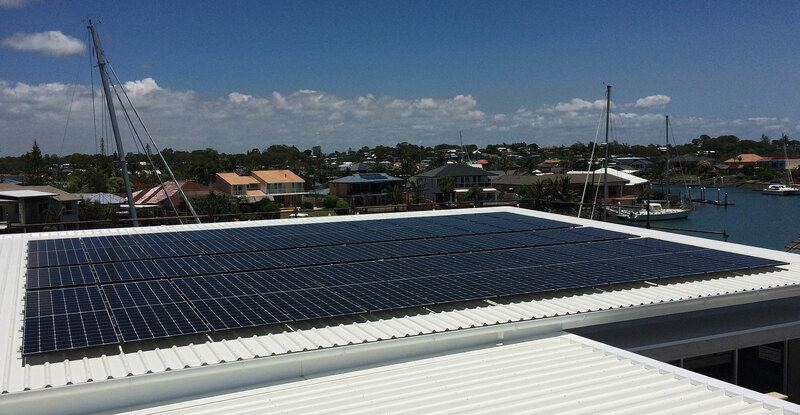 At Green Energy Solutions we are passionate about solar and believe in installing the most reliable and highest performing products for our customers. We offer the choice of leading global brands to suit the budget or preference of our customers and all our equipment is supplied through local Australian branches to provide you with peace of mind in the event of any warranty requirement. 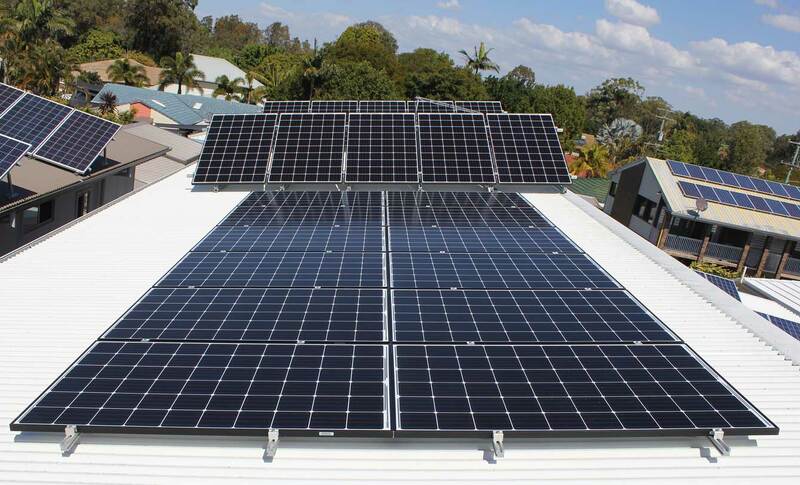 We also offer a 10 Year Green Energy Solutions Workmanship Warranty on every system we install. Packages can be tailored to suit your personal needs. We will provide a firm quote after a site visit to inspect your roof and switchboard and discuss your solar needs in further detail. Canadian Solar – One of the world’s top five solar panel manufacturers, made in China and a ‘Tier 1’ brand. 10 Year Product Warranty, 25 Year Performance Warranty. Sungrow – China’s number 1 Solar Inverter Manufacturer with a 5 Year Product Warranty. Q CELLS – The new, award winning Q.PEAK DUO-G5 solar module from Q CELLS impresses thanks to innovative Q.ANTUM DUO Technology ,which enables particularly high performance on small surface area. Q.ANTUM’s world-record cell concept has now been combined with state-of-the-art circuitry, half cells and a six-busbar design, achieving outstanding performance under real conditions – both with low-intensity solar radiation and on hot, clear summer days. SMA – are a German Company who have been the global leaders in inverter manufacturing for over 30 years. SMA’s reputation as an industry leader is well known within the solar industry. SMA provide 5 Years Product Warranty with extended warranties available. LG – Our premium solar panel on offer from LG outperforms anything else on the market and is backed by the reputable household name. 25 year Product Warranty and a leading 25 year performance warranty, the best industry warranty by far! 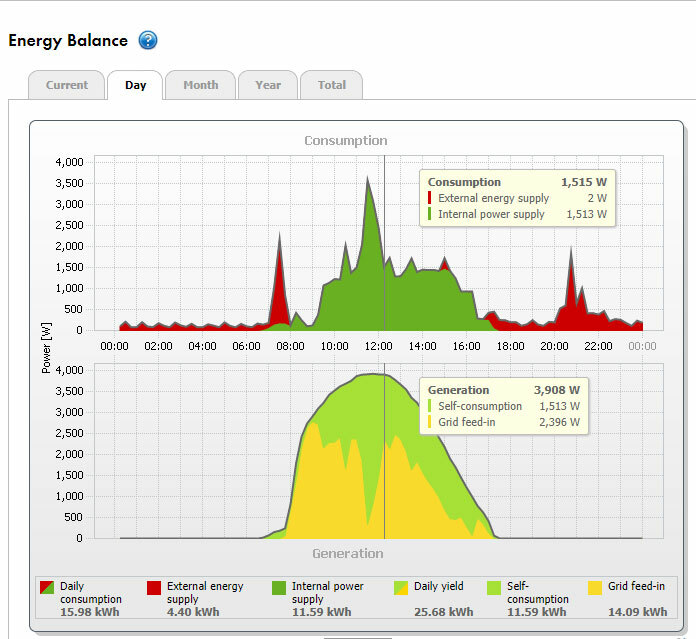 A high-performance measurement solution for intelligent energy management in PV systems with SMA devices. 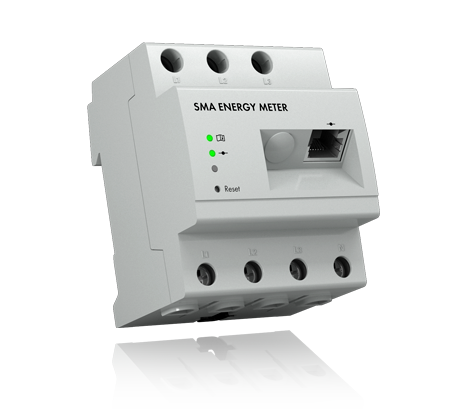 The SMA Energy Meter calculates phase-exact and balanced electrical measured values and communicates these via Ethernet in the local network. In this way, all data on grid feed-in and purchased electricity as well as PV generation by other PV inverters can be communicated to SMA systems frequently and with a high level of precision. Integrating the SMA Energy Meter establishes, in all systems, an ideally coordinated system configuration that guarantees the highest performance and stability with the best cost savings and increased self-consumption. * Can also be used in single-phase systems. *All pricing and energy yields are subject to site inspection and current STC Values .